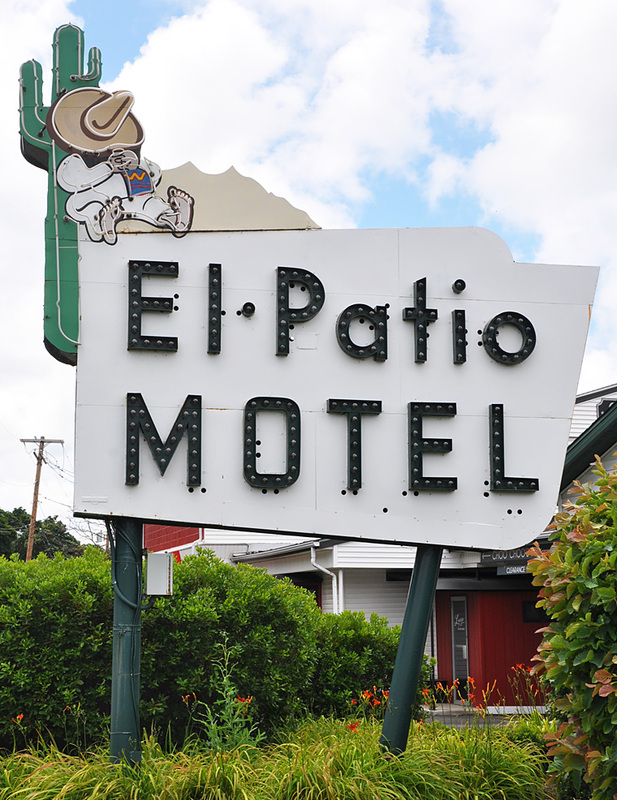 The El Patio Motel was built in the 1950s. This sign appeared to have be from then. 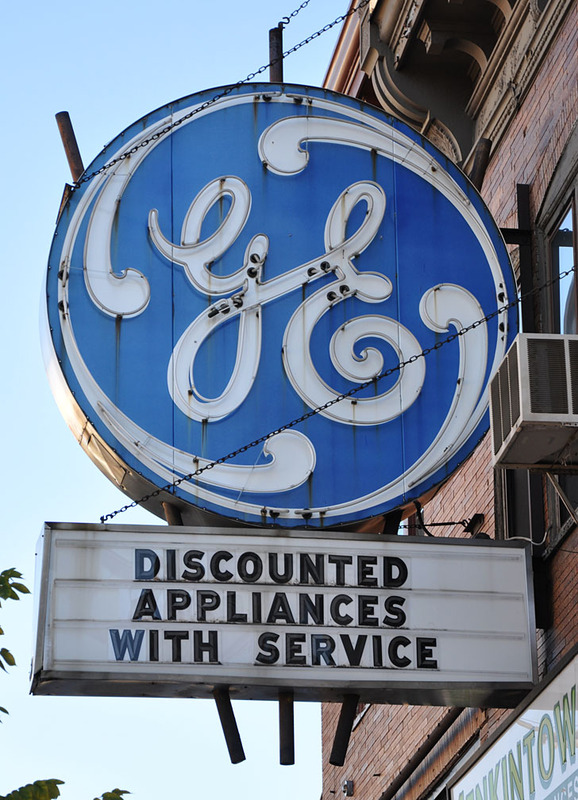 It must have had neon letters originally which were removed and replaced with these channel bulb letters. 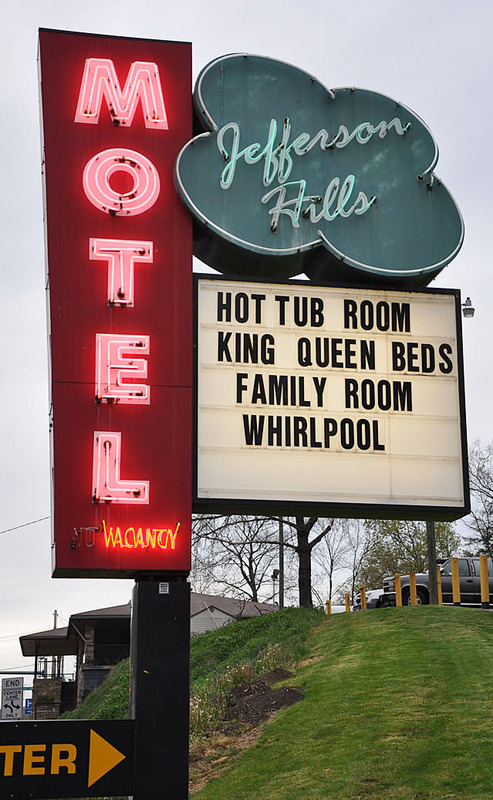 The motel was demolished in 2016. 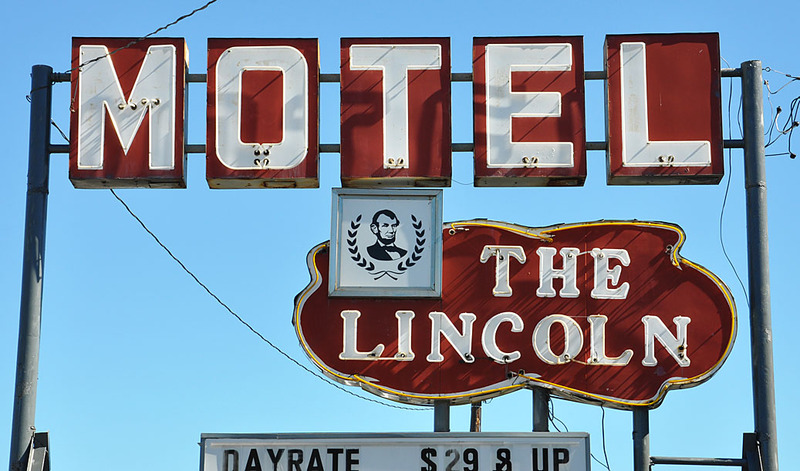 By 2017, the sign was also gone. This Sunoco sign appeared to be an oldie. This photo is from 2010. 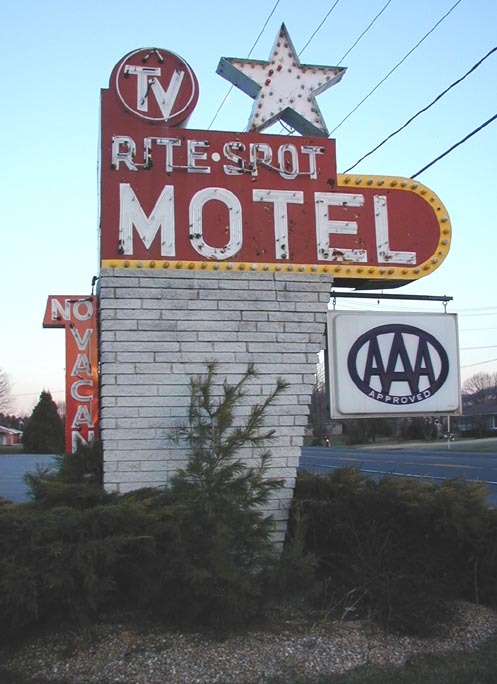 By 2012, the sign was replaced with a smaller, more modern version. 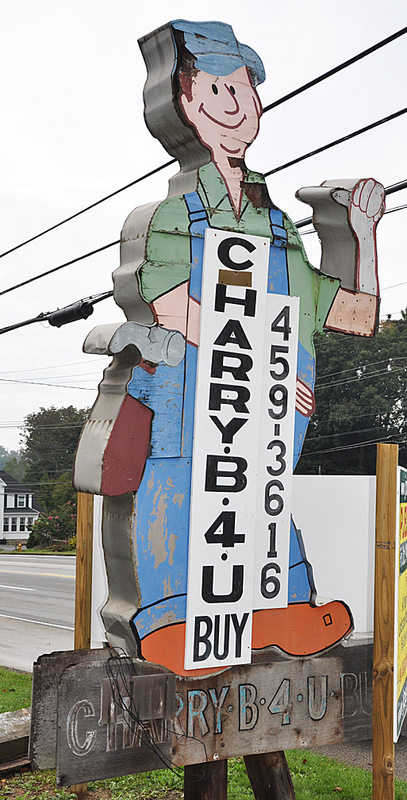 This photo of the C Harry-B-4-U-Buy sign was taken during the store's going out of business sale in 2009. 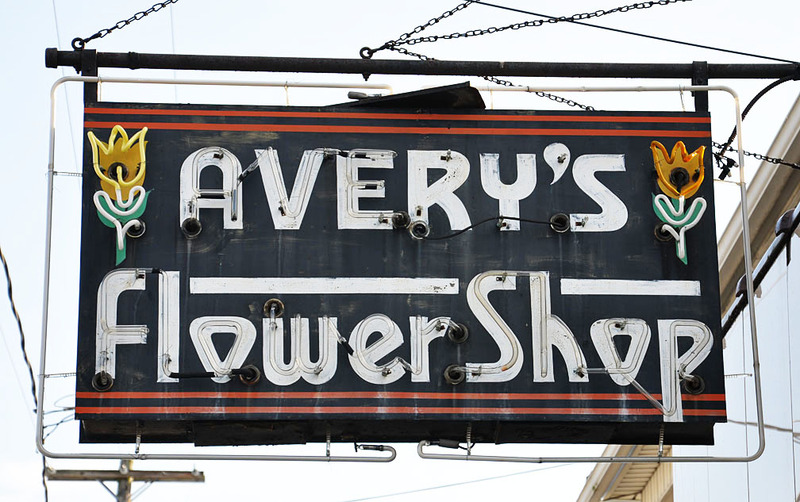 This sign was gone by 2012. 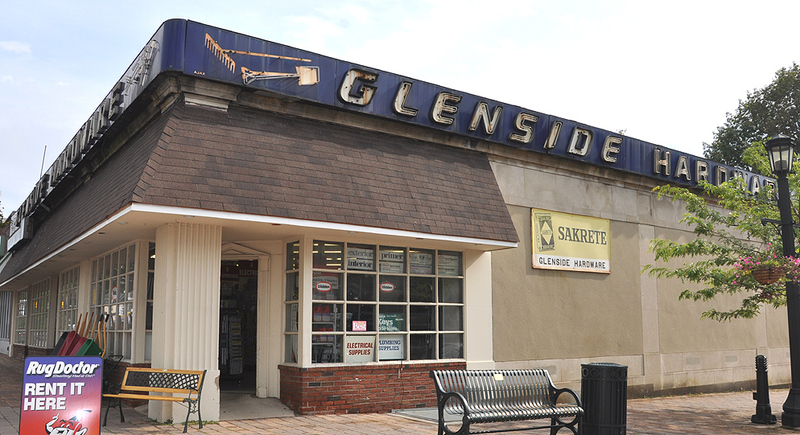 Glenside Hardware had been here since around 1934. The signs were probably from the 1950s. The store closed in 2014. In 2016, the signs were removed. They are in a private collection. 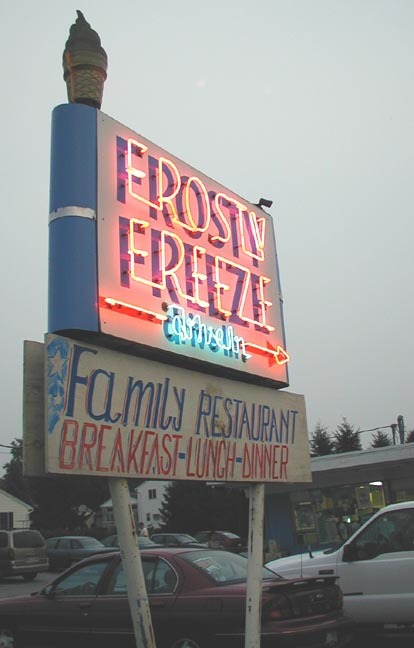 The Frosty Freeze sign might have been adapted from a previous business at some point. This photo is from 2003. 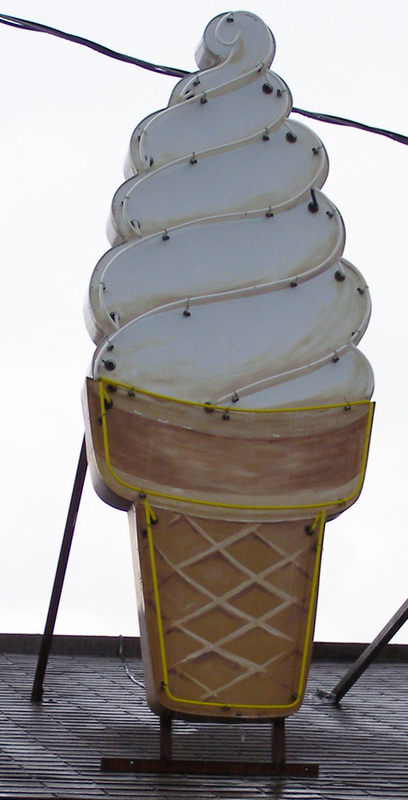 By 2008, the sign had been updated with plastic panels. The business closed a few years after that. In 2014, a new business was moving in. 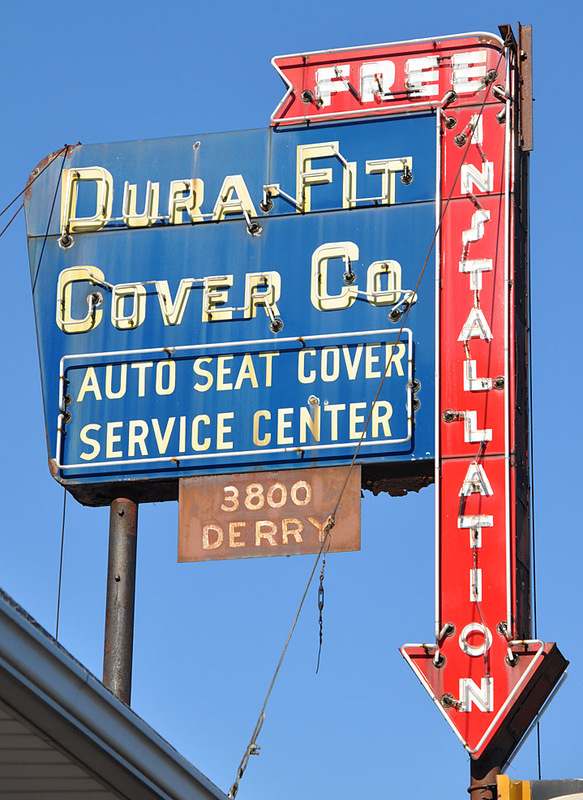 Harrisburg, PA Dura-Fit Cover Co. The Pep Grill also opened in 1948. This sign was probably from then. This photo is from 2012. The sign was still there in 2014 but removed by 2016. In 2017, it was restored and installed at joebar (now Latido at joebar) in Hazel Park, MI. 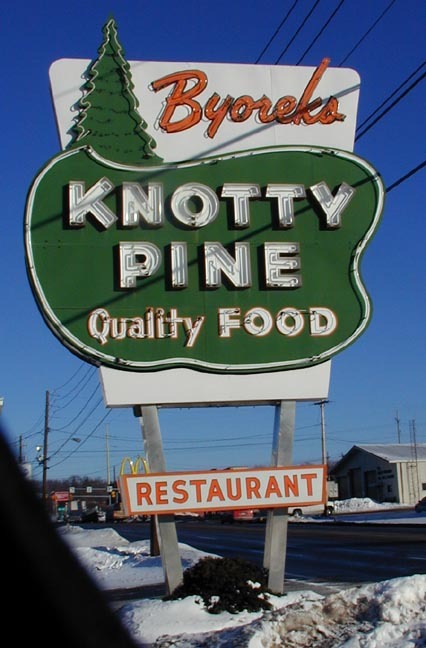 Byorek's Knotty Pine Restaurant opened in 1937 as a curbside operation. 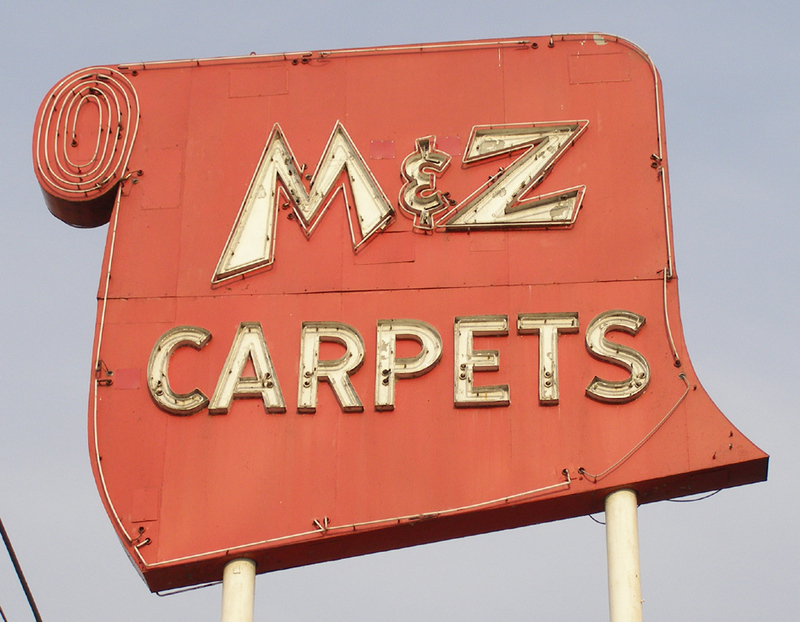 This sign is probably from the 1950s. This photo is from 2003. The restaurant closed in 2010. 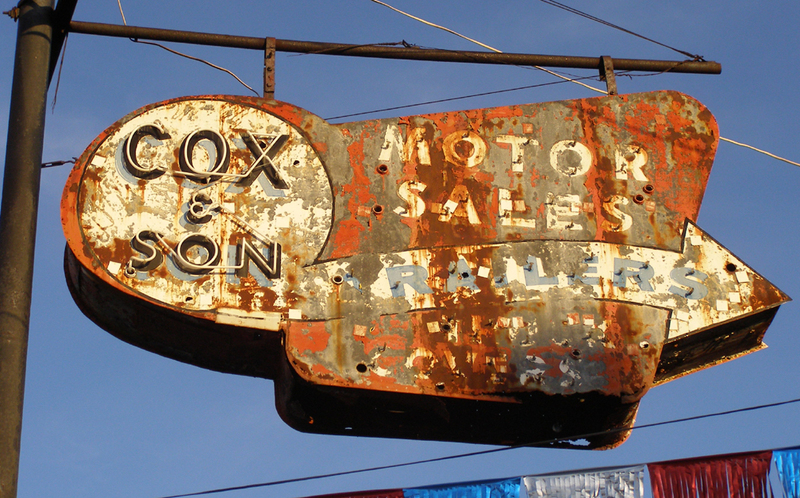 The sign was restored in 2014 and is now located at the Greater Hazleton Historical Society Museum. For more, see this website. Buca di Beppo (translation: "Joe's Basement") is part of a nationwide chain of Italian restaurants. 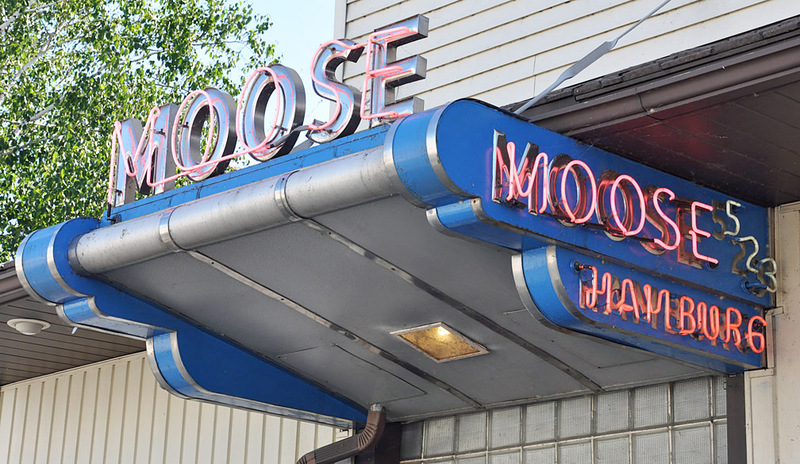 Their first location opened in Minneapolis in 1993. 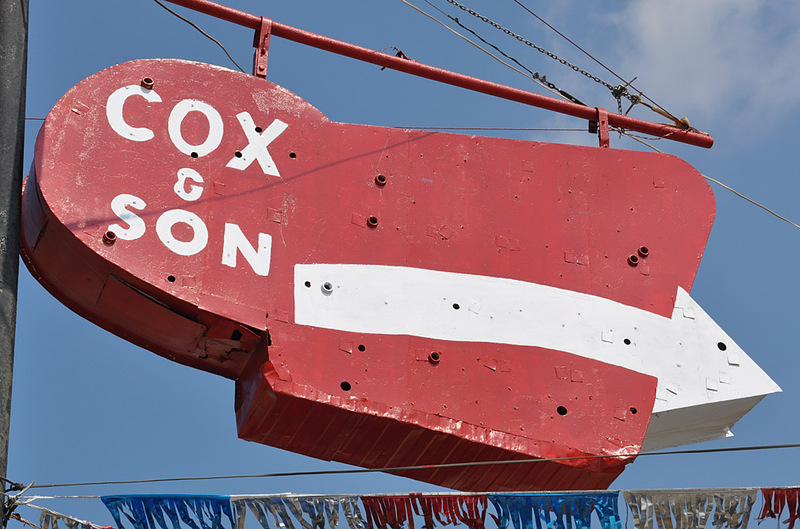 The owners studied signs from the 1940s and 50s before settling on this design. 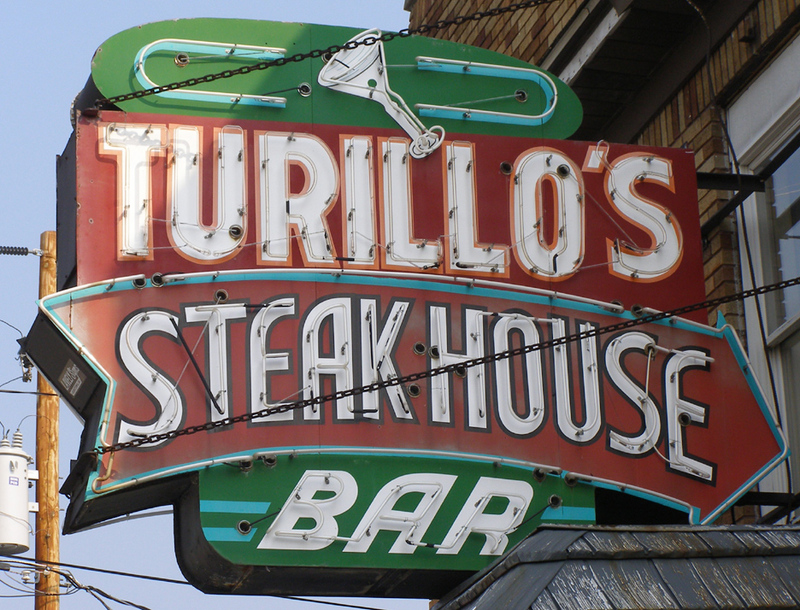 This one was most likely modeled after Cantina Italiana sign in Boston, MA. Where regulations permit, their signs are animated. 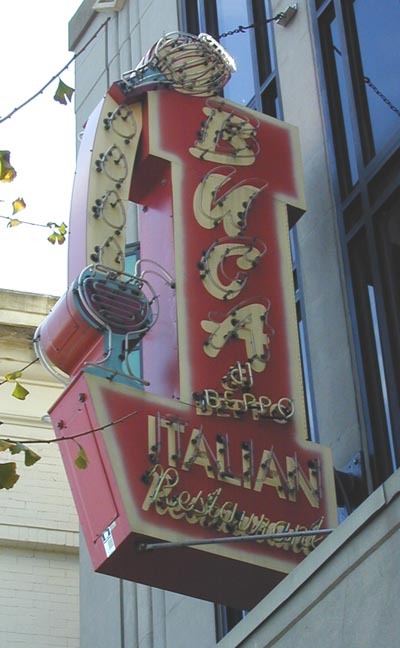 Buca puts its restaurants in existing buildings to blend in and be part of the neighborhood. 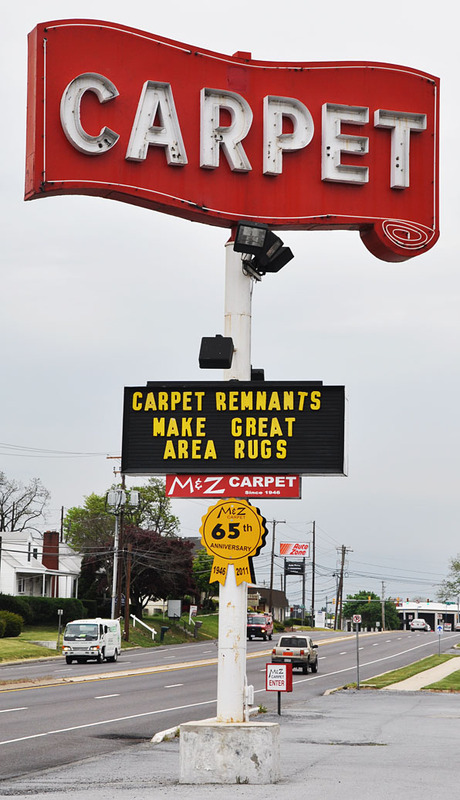 This photo was taken in 2003 but, by 2009, the Jenkintown location and sign were gone. For more, see this website. 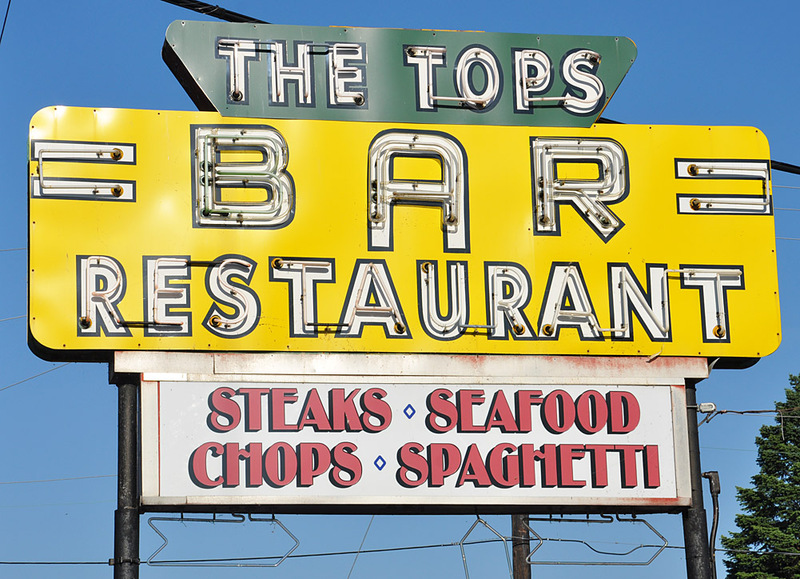 For more sign Buca di Beppo signs, see these websites: 1, 2, 3, 4, and 5. 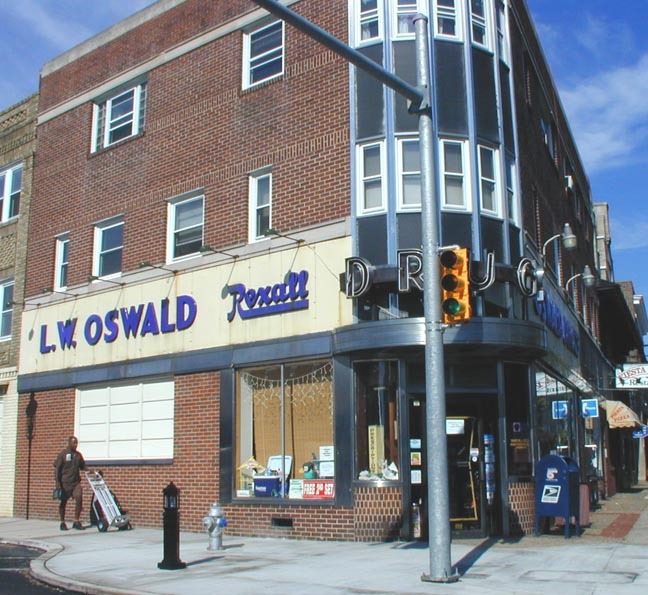 I believe Oswald's Drug Store had been around since the 1930s. This photo was from 2003. 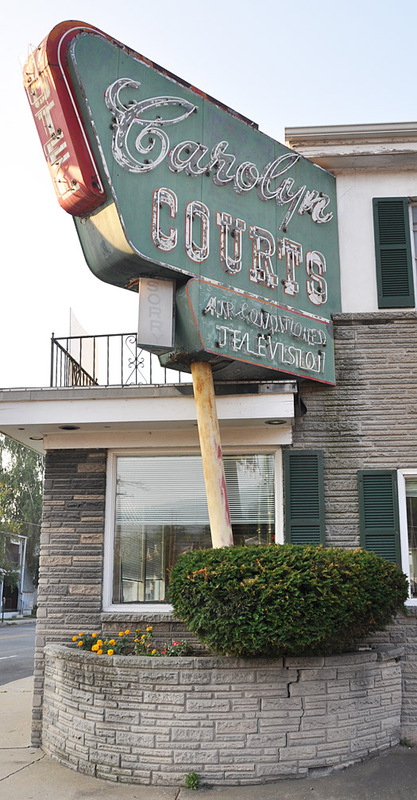 By 2007, the building was vacant and signs were removed.